Are you ready for the big shake-up? On 9 January 2015 the Health & Safety Executive published draft guidance on the proposed changes to the Construction Design and Management (CDM) Regulations, which are expected to come into effect on 6 April 2015 (subject to Parliamentary approval), A copy of the draft guidance can be found here: http://www.hse.gov.uk/pubns/books/l153.htm. There will be a 6 month transitional period until 6 October 2015 to switch over to the new CDM Regulations which will recognise the influence and importance of the client of the head of the supply chain and the fact that they are best placed to set standards throughout a project. Information, instruction, training and supervision requirements. Anyone working on a construction project should be able to demonstrate capability and have the necessary resources. 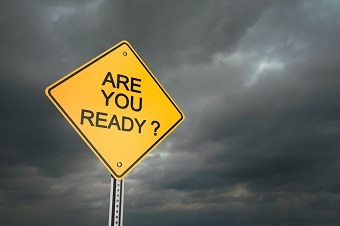 What action should be taken in readiness? Those embarking on construction and building work in advance of April 2015 need to consider whether the principal designer will be in able to carry out the pre-construction co-ordination role and that its appointment includes all the relevant services. It is also worth checking how easy is it to terminate the appointment of any CDM co-ordinator already appointed. For new projects where a CDM co-ordinator is appointed, the employer should ensure that the appointment allows for termination of the appointment once the law changes. Consider whether the project will become notifiable. Will it involve more than 30 working days and more than 20 workers simultaneously’ or whether it will involve more than 500 person-days of labour. Domestic clients should also familiarise themselves with their duties and consider whether these can be discharged by the contractor or the designer. We will keep you updated on the progress of these new regulations. What are your thoughts? Do you think this shake-up will make a big difference to future construction projects?